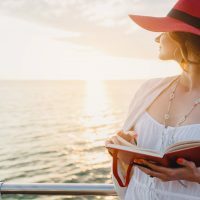 We recently sat down with the editors of our sister site, Cruise Critic, to discuss these questions and other important factors for families to consider. Firstly, you’ll likely want to choose Carnival, Royal Caribbean, Disney, Norwegian or Princess, as these are the most popular ships for families, according to a Family Travel Intention Survey, conducted by MMGY Global. 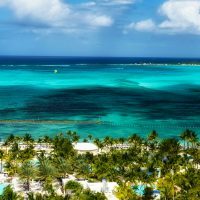 Next, look to Carnival and Royal Caribbean for the most affordable rates overall, which regularly include packages and discounts; among them are a Kids Sail Free promotion, a growing trend in the industry. Better yet, (though not as popular for families), MSC Cruises allow kids ages 11 and under to sail free at all times; kids ages 12 to 17 sail at a reduced rate. Princess, Norwegian and Disney typically cost more (though all of them offer promotions, as well), but are favored for their higher-end offerings; in fact, Disney Fantasy was recently named Best Family Ship in the Cruise Critic Cruisers’ Choice Awards. All of the above cruise lines provide complimentary kids clubs, though some provide more offerings for certain age groups over others. 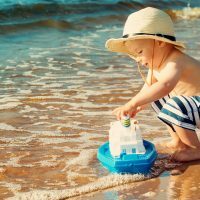 Many cruise lines, including Norwegian and Princess, do not provide supervised activities for children under 3; they can participate in the programs, but need to be with an adult. And some Princess ships, such as Ocean Princess, don’t offer the Youth Program at all. ‘Tweens and teens are grouped together in the same club on Princess ships, too — another important factor to consider. Carnival, on the other hand, appeases to more age categories. Its kids club, Camp Carnival, is offered for children in three age groups: 2 to 5, 6 to 8 and 9 to 11. Recently, it also announced a new program, Camp Ocean, for the same age groups, but with a focus on marine life. For ‘tweens, ages 12 to 14, it offers Circle C, with space to hang out, play video games and listen to music. And similar to Circle C, Club O2 offers activities for teens age 15 to 17, along with teen-only shore excursions. Together, the family can enjoy organized games, mini golf, ropes courses and swimming pools, but remember that children must be potty-trained to swim in most ships’ pools — swim diapers typically aren’t permitted. Many kids clubs offer late-night hours. For a fee, Carnival offers Camp Carnival Night Owls. Some kids clubs, such as those on Norwegian and Carnival, will also provide babysitting service when the ship docks. Aside from that, private, in-room babysitting services are hard to come by; of the most popular cruise lines, you’ll only find them on Royal Caribbean, for approximately $19 per hour for up to three children; children must be at least one year of age, and services need to be booked 24 hours in advance at Guest Relations (but cannot be reserved prior to your trip). Sure, you can squeeze a family of four into a cabin, but realize that standard cabins are quite small and provide little space for families to spread out. Play yards and/or cribs are available on most ships, too (request in advance), but will inevitably take up the “extra” space you have. And while you’ll likely want to spend your time participating in onboard activities, don’t ignore the importance of downtime and naps. Also, because most cabins are small, they typically only offer small shower stalls, which may be an issue for families with tiny tots. Luckily, some cruise lines, such as Disney, provide small, portable bathtubs (you can usually place them in the bathroom’s sink area). For more space and guaranteed tubs, book a Family Mini-Suite on Norwegian, or a Deluxe Family Oceanview Stateroom on Disney, which sleeps five guests. Note that family accommodations typically sell out quickly. In the restaurants (most of which are complimentary; some cost an additional fee, usually per person), Princess does not provide high chairs, but Norwegian, Disney, Carnival and Royal Caribbean will provide them upon request. Princess does, however, provide both baby food and formula, as do Royal Caribbean and Disney (the latter needs to be pre-ordered); Carnival and Norwegian do not. All of the above ships provide children’s menus, with chicken fingers, pizza, grilled cheese sandwiches and the like available. Additionally, Carnival has launched a new program, Seuss at Sea, which offers a Green Eggs and Ham Breakfast, complete with “Moose Juice” and “Goose Juice”! Disney Cruise Line has an abundance of themed plates, as well, including Mickey Mouse-shaped pancakes. If your kids (or you) have any food allergies or other restrictions, of course, just let your waiter know, and they will do their best to accommodate you. The only cruise line that provides lifeguards in swimming pools is Disney. Norwegian, on the other hand, provides intra-ship walkie talkies, and imposes a 1 a.m. curfew for anyone under the age of 17. Generally, however, onboard safety and limitations are up to parents. Many families opt to bring their own walkie talkies, along with dry erase boards, where they can leave notes to each other. Norwegian also has an app called Norwegian iConcierge, in which you can communicate with others (who also have the app) for a one-time fee. In the event of an emergency, you can also make outbound calls (for another fee). Ahead of your trip, research the safety, laws, language and currency of each port. Also know the accessibility of the area; for example, some ports only have cobblestone streets, which provide a challenge for those with strollers or wheelchairs. To ease the cruise-planning process, don’t hesitate to hire a travel agent. A professional will particularly be of use to those traveling with other families or groups (we don’t suggest booking this online), as many people do. 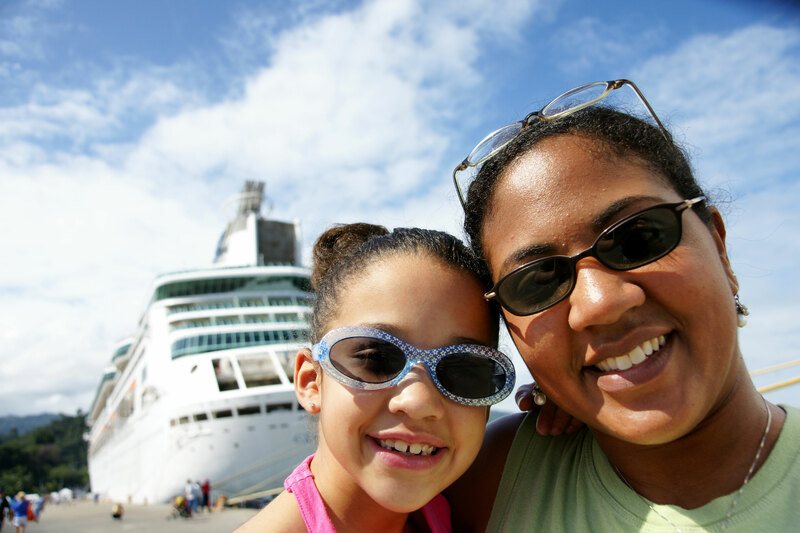 In fact, multigenerational cruise travel is on the rise in 2014, according to a CLIA 2014 State of the Industry Report. With kids (and even without), it’s important to arrive a day before your cruise; this prevents scrambling to get out of the airport (or park the car), get to the port, check in and go through the security. Plenty of cruise port hotels offer promotions, such as Park and Cruise Deals (for those driving) or free shuttle services to the port, too, which is another bonus to arriving a day in advance.